Adidas is highlighting unconventional forms of training in a series of spots featuring female sports icons, as part of the brand's 'I'm Here to Create' campaign. 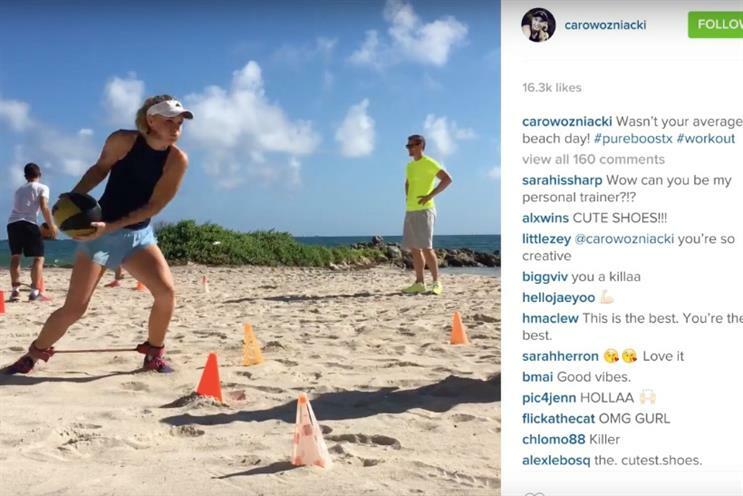 Tennis star Caroline Wozniacki stars in one spot, doing beach wind sprints and sandboarding as part of her training. Other stars that will feature in their own spots during the campaign including WNBA All-Star Candace Parker, celebrity trainer Nicole Winhoffer and ultra athlete Robin Arzon.